Mental health is a difficult topic for many, but this year Key Club has made an effort to open up discussion and help make it easier to talk about mental health in depth for Manhattan High students, teachers and staff. 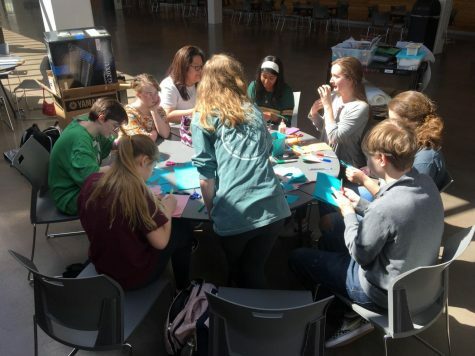 “The opportunity to help others is really important to me and helping others who are struggling with mental health is something that I think we all need to do a better job of,” Key Club sponsor Lisa Julian said. 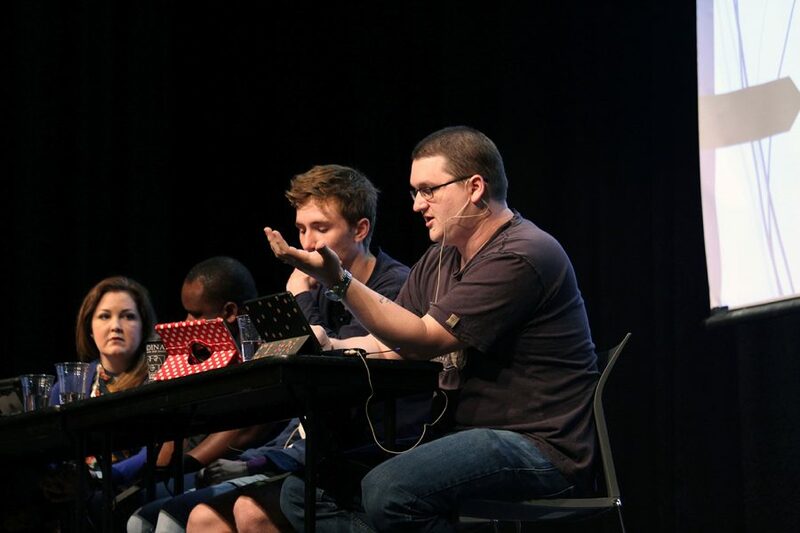 During advisory last Wednesday, the junior class was invited to Rezac for a Mental Health Panel with guest speakers science teacher Clancey Livingston, School Resource Officer Tyrone Townsend, local counselor Jamie Goldberg, alumnus Aaron Julian and senior Forest Effken. 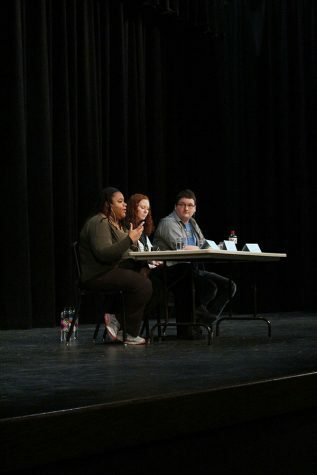 About a month ago, Key Club hosted a Mental Health Panel for the senior class. To construct what was covered at this event, students were asked to generate a list of questions about mental health. From those questions, 150 were typed up and passed out at random so students wouldn’t necessarily ask their own questions at the panel. Some of the topics touched on during the event were anxiety, depression and stress. Students were informed of different ways to cope with stress and of the resources here at Manhattan High that they could talk to about what they’re going through. 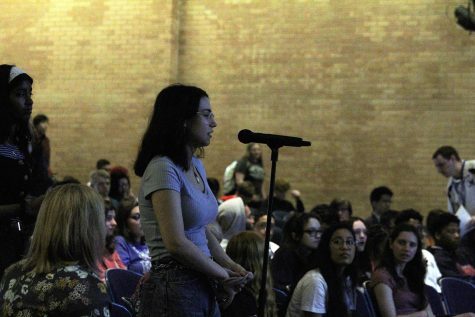 Junior Stella Rossi asks a question written by an anonymous student during the Mental Health panel in Rezac Auditorium on April 10. 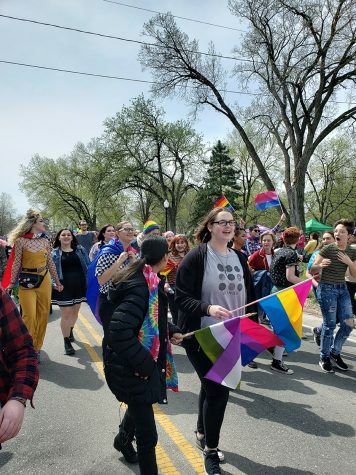 “[My favorite part of this event was] just being able to know [that] a lot of people experience the same things that I’ve experienced before,” junior Isabel Toledo said. All in all, the Mental Health Panel had educational content that students will carry with them.